Why won’t my Lily of the Valley Flower? Lily of the Valley (Convallaria) are native to Europe and need a cold Winter period to break the dormancy of the buds. This means you need frosts to have success or you can try putting ice on them in the July. They are also heavy feeders, needing to be top-dressed with garden lime and one of the smelly fertilisers ie Blood and Bone. Why do I get great foliage on my Nerines but no flowers? Nerines need to be in full sun and require a dry rest (no artificial watering) between November and December. Then a good soak in January will promote the flower stems. 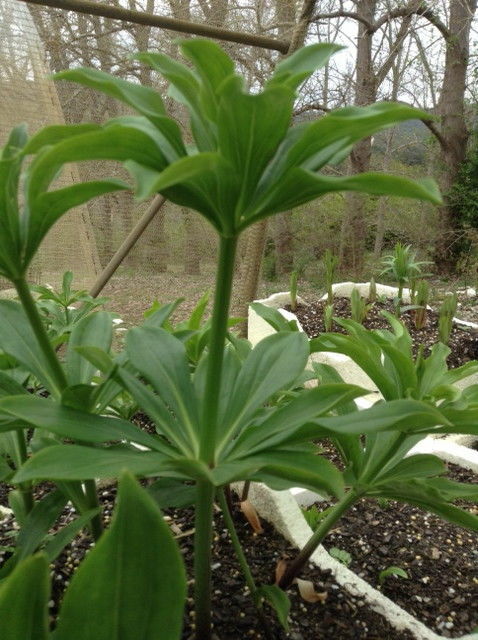 What does ‘whorl’ mean in reference to Lilium foliage? A ‘whorl’ refers to leaves being attached around the stem at the same point and these ‘sets’ of leaves are usually the same distance apart up the stem. What is ‘papillae’ on a flower? 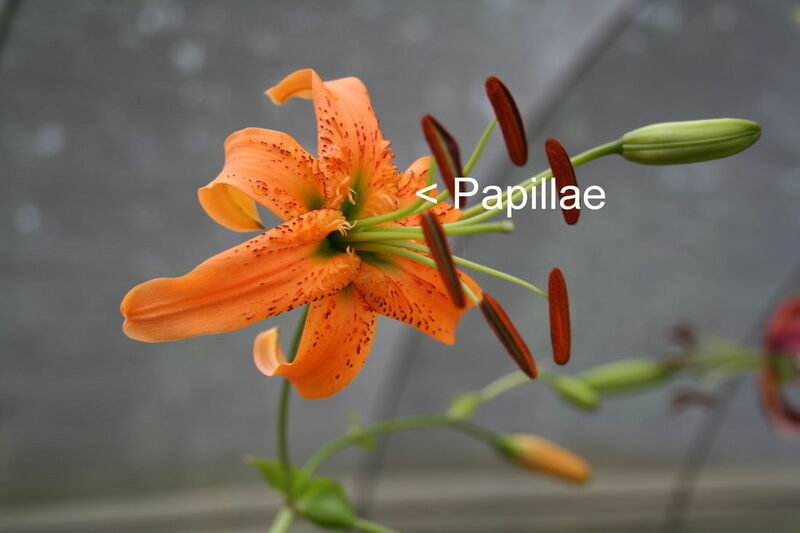 ‘Papillae’ is pimple like protruberances on the surface of Lilium petals, which enhance and beautify their appearance, particularly with a close up lens.